Just when you thought Scene It? 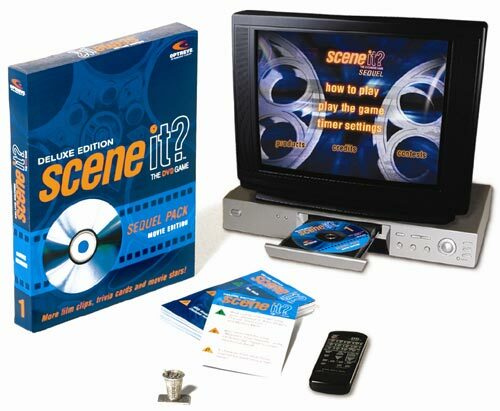 Deluxe couldn't get any better, we added Scene It? Deluxe Sequel Pack. Sequel Pack brings trivia to life with fresh scenes and images from Hollywood's biggest movies. Enjoy all your favorite visual puzzlers from the first game plus new categories "Credit RollÂ®" and "Zoom Outâ„¢". Note: This sequel is identical to the Original Scene it? Sequal Pack 1. It is simply packaged differently. This expansion adds more questions and even a couple of new categories! I would say that this is a must have expansion for any fan of the base game.